23C-D022X103NNBANN-LR Allen Bradley PowerFlex 400 VFD, Fan & Pump Drive. 480 VAC, 3 PH. 21 Amps. 15 hp. Single Motor. 23C-D022H103NNMANN Allen Bradley PowerFlex 400 VFD, Fan & Pump Drive. 480 VAC, 3 PH. 21 Amps. 15 hp. Single Motor. 23C-D022H103NNBANN-LR Allen Bradley PowerFlex 400 VFD, Fan & Pump Drive. 480 VAC, 3 PH. 21 Amps. 15 hp. Single Motor. 23C-D022H103NNBANN Allen Bradley PowerFlex 400 VFD, Fan & Pump Drive. 480 VAC, 3 PH. 21 Amps. 15 hp. Single Motor. 23C-D022H103NNAANN-LR Allen Bradley PowerFlex 400 VFD, Fan & Pump Drive. 480 VAC, 3 PH. 21 Amps. 15 hp. Single Motor. 23C-D022H103NNAANN Allen Bradley PowerFlex 400 VFD, Fan & Pump Drive. 480 VAC, 3 PH. 21 Amps. 15 hp. Single Motor. 23C-D022E10LNNNANN-E5-LR Allen Bradley PowerFlex 400 VFD, Fan & Pump Drive. 480 VAC, 3 PH. 21 Amps. 15 hp. Single Motor. 23C-D022E10ENNNANN Allen Bradley PowerFlex 400 VFD, Fan & Pump Drive. 480 VAC, 3 PH. 21 Amps. 15 hp. Single Motor. 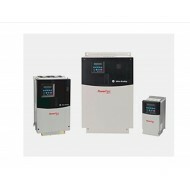 23C-D022E10ENNBANN-LR Allen Bradley PowerFlex 400 VFD, Fan & Pump Drive. 480 VAC, 3 PH. 21 Amps. 15 hp. Single Motor.